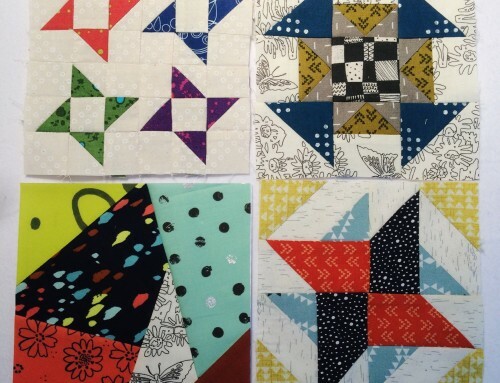 A few months back I was invited to be involved in making a quilt for a good blog friend – Amy. Many of you probably know that she recently had a sweet baby girl, and moved out of state less than a month later! 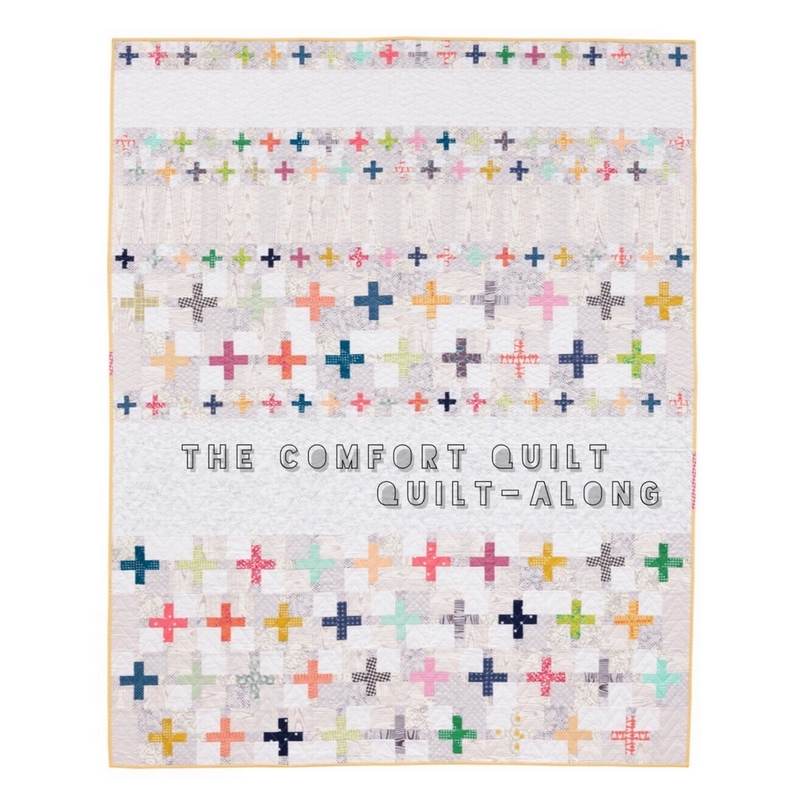 We set about making a cute baby quilt to encourage our friend, and welcome baby Maggie. Friends Candy, Vicki, and Rita, all did their part and funneled pieces to me, then I took it to Natalia, for the finishing touches. Check out their posts to see how they participated! 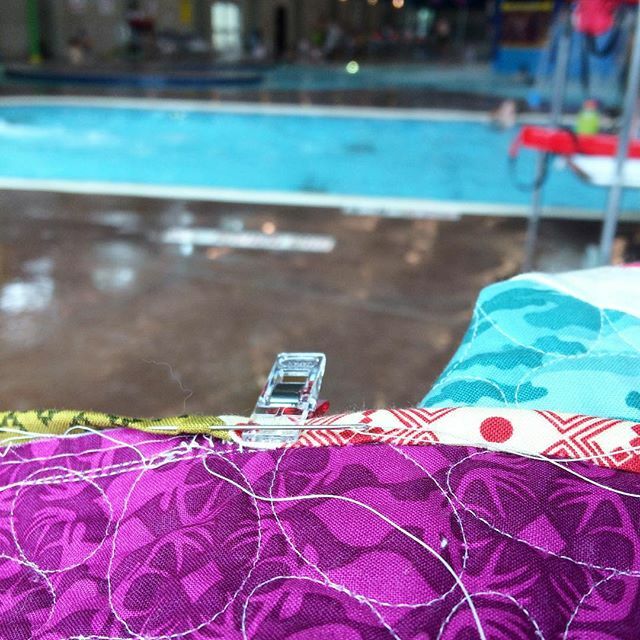 Aren’t the fabrics so pretty? 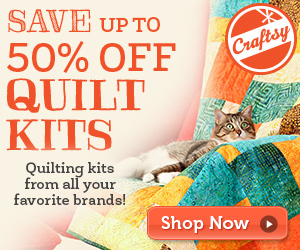 I really loved working with them, soft too! 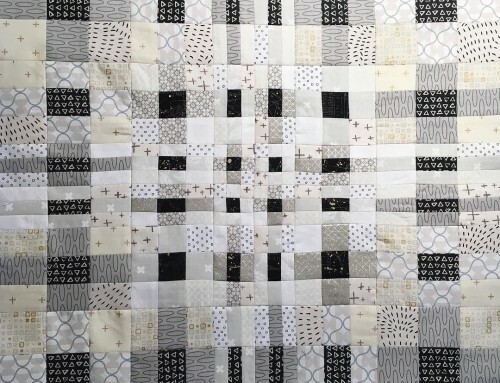 You will have to go over and visit Rita to see the adorable appliqué a up close. Those aren’t mine to share! I then took it off to Natalia who was the last piece of our collaboration puzzle. I’m a little sad that I didn’t take more time to get a better photo of it, however if you check all the links you will get a better view! Working on this project was a lot of fun, we all schemed over email, and got to know each other a bit more in the process too! 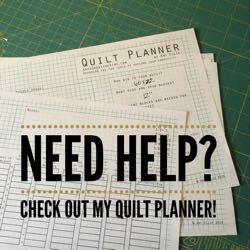 I’ve seen Round Robin quilts done in our local guild and after this fun experience, I might just want to do something similar online. Not yet though – too many irons in the fire! 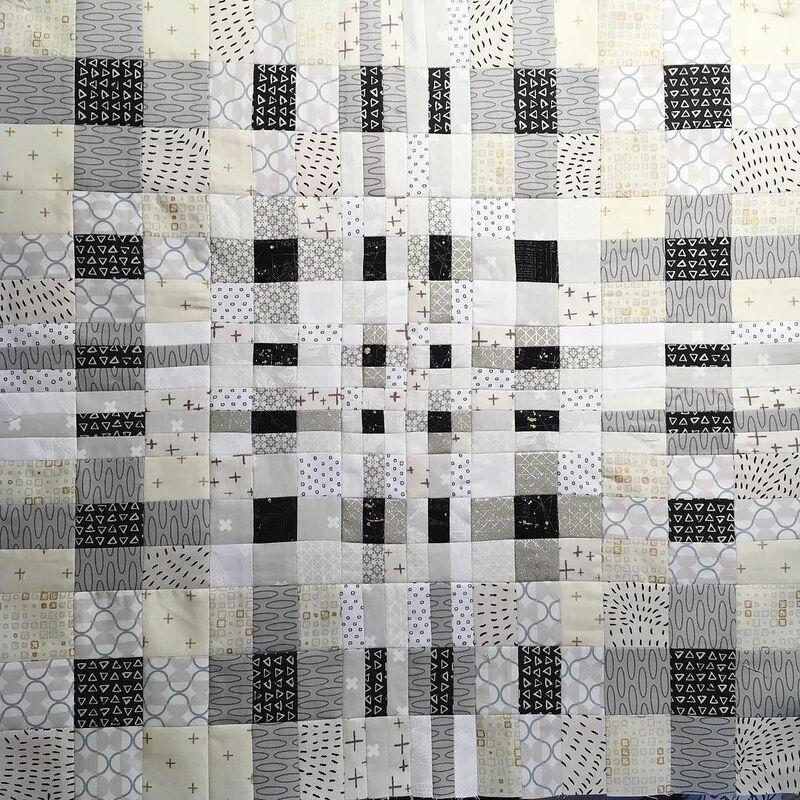 Have you ever worked on a collaboration quilt? Did you have a good experience? Oh , Amy ; this turned out so nice . I’m sure it will mean a lot to the other Amy ! 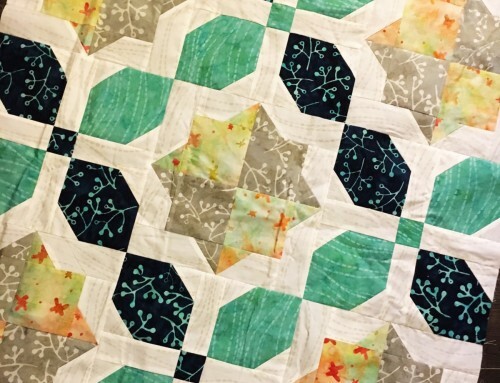 Amy, you guys did such a wonderful thing with this quilt! I love the fact that even though all of us bloggers may never meet each other in real life, we care enough to reach out in so many ways! 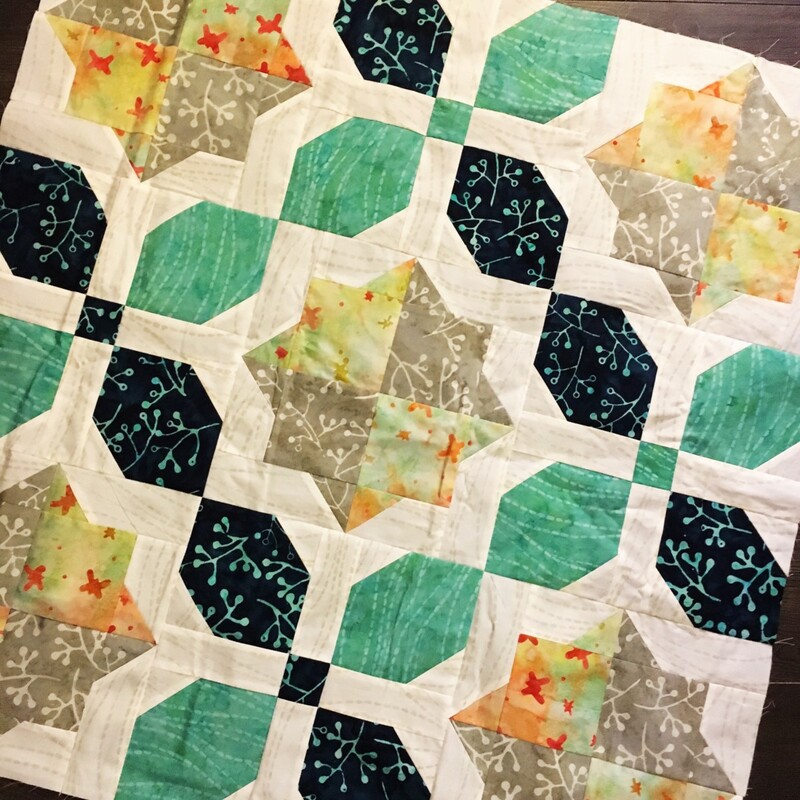 Your collaboration quilt is just fabulous, and I’m sure it’s story will live on in their family for a long long time! What an awesome idea, i love doing works like that where you put in a small piece of a bigger picture, a while back we did one for a mom who didn’t have much and adding a 3rd baby to the mix, it was knitted though, we all knitted one square and the someone from the group attached them. it was fun and rewarding especially when the tears of joy were rolling down the moms face when she received it. I would do it again for sure! 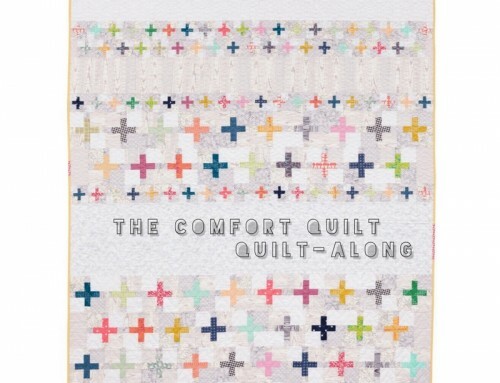 I have never worked on this kind of a quilt…. but if you did something like this, I would surely be in! I have participated in swaps before. 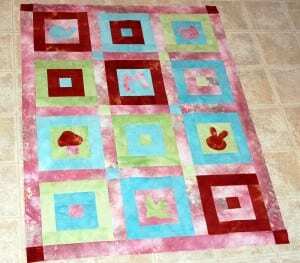 The quilt is adorable and I am sure that baby Maggie will love it! And sure her mom will be greatly touched by your kind gift! Lovely! P.S. Amy, I fixed the comment problem on my website. Thanks for bringing it to my attention. It is working now :) YAY! 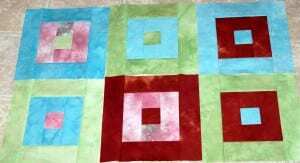 Your blocks are perfect and your pieced the top so beautifully! It could not have been more special and unique! 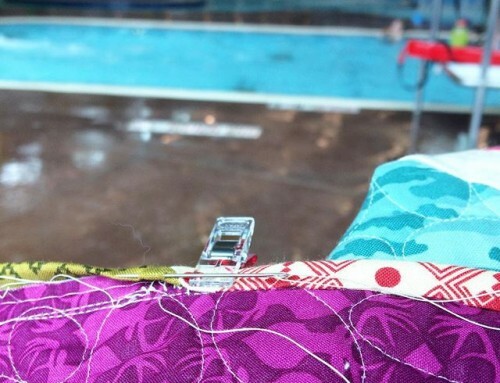 This was the one moment I was holding my breath for to see our blocks come together :) Thanks for your wonderful talent! I love collaborating with you!! You gals did a fabulous job on this! Amy did a fabulous job on that baby girl, lol. Isn’t she precious! 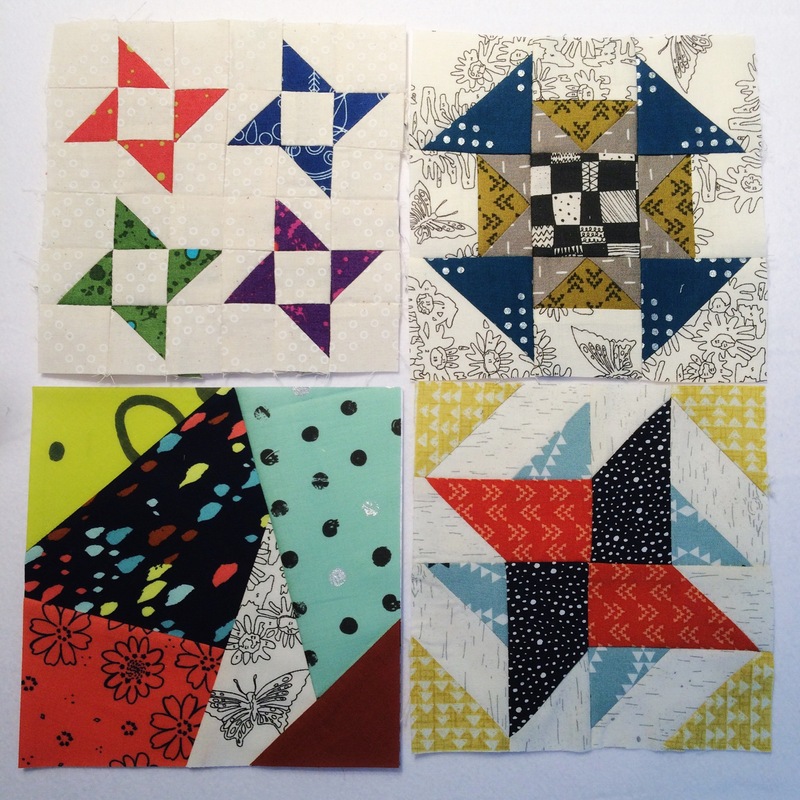 I have really never work on a collab quilt before … just swaps. I would say that you must have dependable and reliable friends! Looks lovely … I’m sure it will be a treasure!